Jamie Thomas has enough trouble on his hands trying to get through junior year of high school without being pulverized by Billy Stratton, his bully and tormentor. But the mother he was always told was dead is actually alive—and she's an Amazon! Sixteen years after she left him on his father's doorstep, she's back—and needs Jamie's help. A curse has caused the ancient tribe of warrior women to give birth to nothing but boys, dooming them to extinction—until prophecy reveals that salvation lies with one of the offspring they abandoned. Putting his life on the line, Jamie must find the courage to confront the wrath of an angry god to save a society that rejected him. I stayed up way too late into the night to finish this book. I like YA for the need to stay on plot and out of the bedroom, and this story delivered. Jamie is given a hero’s quest with a great ensemble cast to back him up, with the hint of romance. We meet our first person POV character after he’s just gotten punched in the nose by the guy who’s made his life difficult for years. There’s a reason for that, but it serves as a great introduction to Jamie, Billy, and best friend Sarah. The introduction of a mutual foe and a mutual secret get Billy and Jamie to stop pummeling one another long enough to work on the bigger problem, and to pave the way for a gentler interaction. The transformation takes most of the book, and isn’t rushed or forced. Finding out a “dead” parent is not only alive, but effectively immortal, with some amazing skills and some spectacular flaws, totally reorganizes Jamie’s world view. He’s been yearning to get out of his home town, and now he’s going farther into stranger realms than he ever imagined. The parents in this story are unusually strongly written: while they are divided on the goals and how to achieve them, no one is a cardboard cutout, nor are their reactions kneejerk, even when crashing into the kinds of problems on which marriages founder. Everyone has some kind of journey to make, even if it’s in the far background. This was particularly well done and took nothing away from the main story, but added depth. 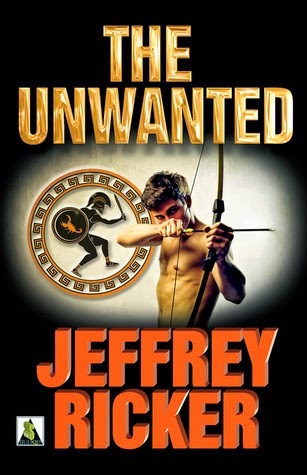 Another incredible strength of this book is that gender wars are inherent in the idea of Amazons, who leave the men behind, until they need the men to save them. Except—it’s not played out like that, nor in any Us vs Them way. It’s very much “We are stronger together, and one person needs to be the spearhead.” So much of m/m vilifies women or ignores them, but the handling here empowers everyone. It’s organic, never preachy, and the message slides right by as “the way things ought to be” but so seldom are. The idea of Billy has been done, but Billy as a character is much stronger than that: he's an integral part of the action, which is front and center, and anything personal between Jamie and Billy they only examine when there's the leisure to do it. The ending—perfect, and figure on a large handful of tissues. Older readers will probably cry for more reasons than the intended YA readers, but it’s wonderful and cathartic for everyone. Athena warns that the victory will exact a price, but the coin is not so obvious. I’m sniffling all over again right now.